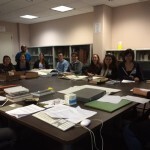 MUS 520, “Introduction to Research,” is a seminar specially designed for the interests and needs of new students in the Music Department’s DMA Program in Performance. 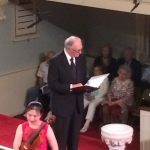 It is taught by Associate Librarian/Head of the Music Library, Gisele Schierhorst. 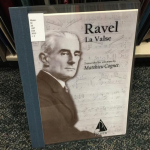 Matthieu Cognet, DMA candidate in Piano Performance, recently published his own transcription of Ravel’s “La Valse,” and was pleased to find that we had added several copies to the Music Library’s collection. Congratulations Matthieu!